TALLINN, Estonia -- The push to close the Guantanamo Bay detention facility has been a goal of the president since the first day of his presidency, and as time runs out in his second term, his defense secretary, Ashton Carter, says he's not confident it can be done. 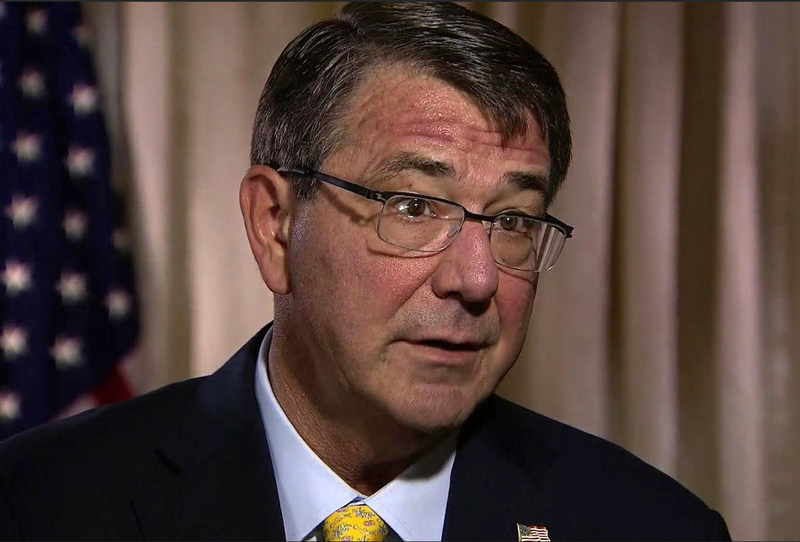 In an exclusive interview with CBS News, Carter said that the very existence of the facility is "an extra talking point" for Jihadi propagandists, and "it would be good to eliminate that." But on the question of whether or not it could be accomplished by the time President Obama leaves office, Carter replied, "I'm not confident, but I am hopeful. I think we'll have a good proposal, and I think we're hoping it wins the support that it needs in Congress, so that we can move forward." Will Guantanamo ever be closed? Carter also said that not every detainee in Guantanamo can be freed. "[W]e have to be very clear - there are people in Guantanamo Bay who cannot and should not be released because they will return to the terrorist fight," he said. "And therefore we need a place where we can detain them in the long term. We have been forbidden to create such a place in U.S. territory." Heavy U.S. weapons for Europe to answer "Russia's provocations"
Congress has barred the Defense Department from using any appropriated funds to build facilities to house the Guantanamo detainees in the U.S.
At the moment, Carter said the administration is working right now on a proposal to present to Congress. Sen. John McCain, R-Arizona, has been asking for a plan for closure from the administration for months, and Carter said Tuesday that McCain "said he'd be receptive to considering a proposal of that kind that would allow those people who cannot be released to be placed in a facility in the U.S., rather than Guantanamo Bay, and then we can close Guantanamo Bay." Carter added, "I think that's very desirable. And I think it would be nice to do that before the end of President Obama's administration so that the next President doesn't have to deal with this situation." Carter would also like to be rid of the facility - he noted that it's "very expensive for the Defense Department to operate Gitmo. I would prefer to not have that expense."